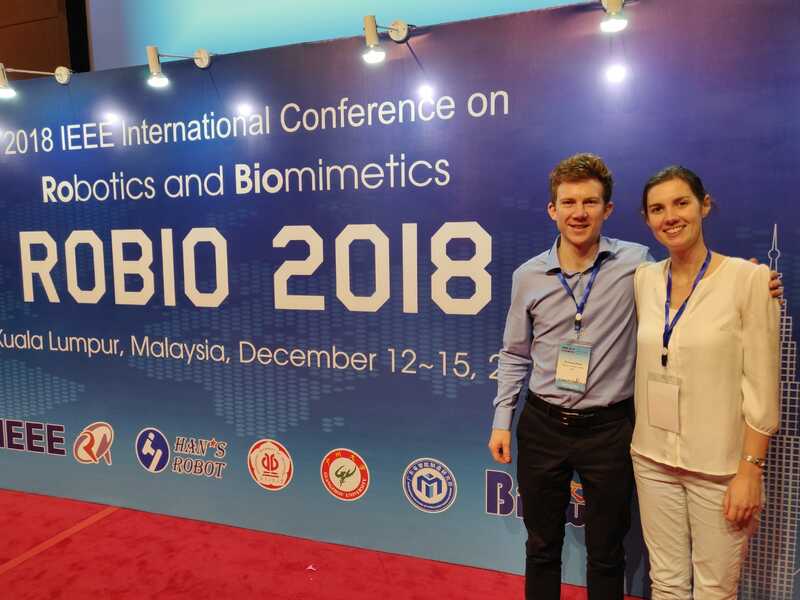 In December 2018, members of IMPERIAL’s research team, Eloise Matheson and Tom Watts, travelled to Malaysia for the 2018 IEEE Conference on Robotics and Biomimetics (ROBIO conference). The theme of the ROBIO 2018 was ‘Fusion of Robotics, Biomimetics and Al’ which reflected the industries interests in robotics and biomimetics, and rapid development in artificial intelligence. Both Eloise and Tom were fortunate to have the opportunity to present as well as partake in crucial networking with other experts across a number of fields. Eloise’s talk was entitled ‘A Cyclic Motion Controller for 3D steering of a Programmable Bevel-tip Needle: a simulation study’ (Eloise Matheson, Thomas Watts, Riccardo Secoli and Ferdinando Rodriguez y Baena, Jan 2018). Tom’s talk was entitled ‘Needle Steerability Measures: Definition and Application for Optimized Steering of the Programmable Bevel-tip Needle’ (Thomas Watts, Riccardo Secoli and Ferdinando Rodriguez y Baena). The conference proved invaluable to both individuals and provided a well-positioned platform in which to disseminate EDEN2020’s work.